Purdue hitters Mike Galle and Tom Kitchel had a field day against Evansville Ace Andy Benes in 1988, Kitchel recalled years later to Purdue Sports. Galle and Kitchel each hit two home runs, Kitchel recalled, off the Evansville hurler who, weeks later, would be taken No. 1 overall in the draft. "Coach Alexander to this day still chuckles about the postgame interviews Mike and I did with the media," Kitchel recalled to Purdue Sports. "We had no idea Benes was so highly regarded, so when asked about the game we both just kind of shrugged it off as no big deal in our 'country bumpkin way.'" While Benes went on to be a top pick and make the bigs, Galle and Kitchel didn't fare as well. Kitchel never turned pro. Galle made the pros in 1989. He only stayed two seasons. Galle was taken by the Dodgers in the 21st round of the 1989 draft out of Purdue. For Purdue, Galley won the school's Mackey Award in 1988 for student-athletes. He also won team MVP and All-Big Ten in 1988 and 1989. He hit .379 in 1989, knocked in 59 in 1988 and 53 in 1989. 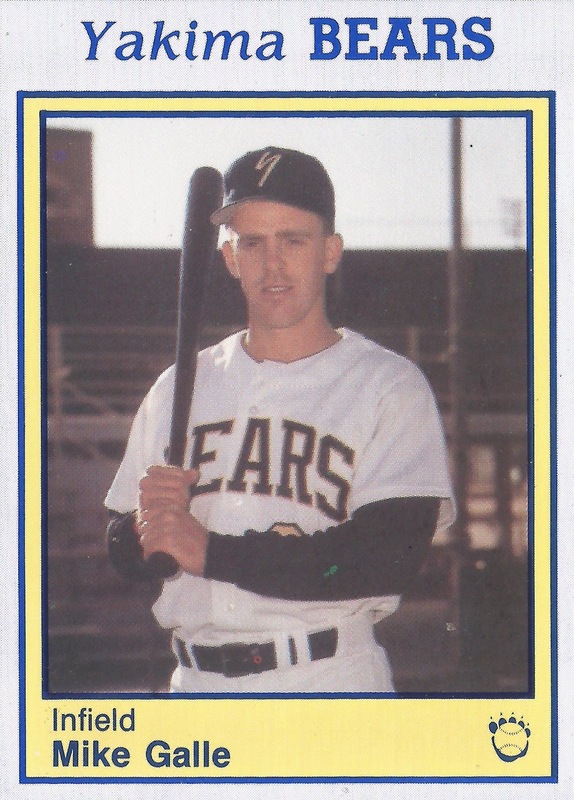 Galle started on the field with the Dodgers in 1990 at short-season Yakima and high-A Vero Beach. He got into 65 games at Yakima and nine at Vero Beach. He hit .298 overall, with four home runs and 46 RBI. 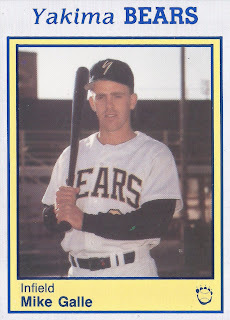 Galle returned for 1991 at high-A Bakersfield. But his season ended up brief. He played in just three games, when 3 for 10, with 3 RBI. Those three games marked the end of his career.